Today is my mother’s birthday, so I thought I’d honor her by sharing her absolutely phenomenal talent. What’s even more wonderful than these beautiful arrangements is the reason behind them. . .
For as long as I can remember, my mother has participated in some kind of volunteer or charitable work. She’s done countless classes for children, in particular, over the years, and loves nothing than giving, sharing, and seeing others surprise themselves with talents of their own. 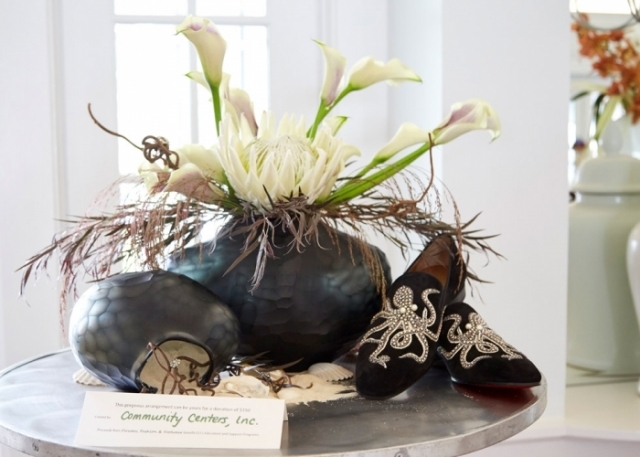 She recently spearheaded an event, Flowers, Fashion, and Footwear, that raised money for a local social service agency that she has worked with for many years, Community Centers Of Greenwich. CCI services children, adults with special needs, and seniors, and provides educational and financial assistance for lower-income families. I am convinced that my love and passion for volunteering with these communities was passed down by her and my father’s dedication to helping where they can. I am honored to be their child and thankful for the early exposure to these wonderful aspects of community service. 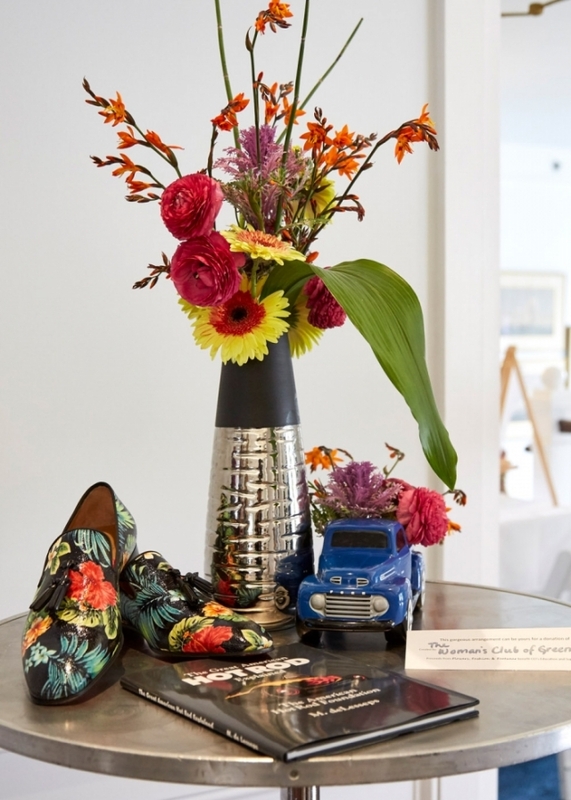 For the CCI event, flower arrangers were called upon to pick a pair of Louboutin shoes – owned by Kent Russell, perennial specialist – and design an arrangement to match. I grew up with the great fortune of having flowers and nature in our home all year round (yes, even in the throes of wintertime!) And it wasn’t just the beautiful blooms or branches, which I, for one, adore… The unreal sculptures and art she always manages to create look more like they belong in THE fanciest spas, homes, hotels…whatever!…in the world. They’re always breathtaking. The shoes, of course, were art of their own. Having been in the footwear and fashion industry for many moons, I watched the birth to death of many a pair…and I know exactly what goes into them. I’d personally steer clear of stepping out in these if I were him, however, simply in fear of dirtying their impeccable polish!